The last time I cycled through my home town was probably more than 15 years ago, and I've been missing it ever since. 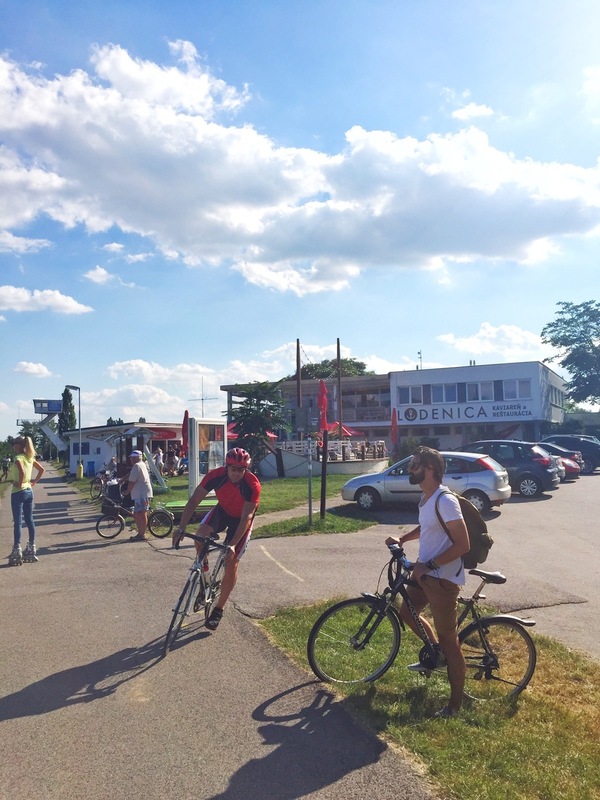 I say 'cycled' coz that's what you do in Pieštany. You get on a bike and reach your destination regardless the weather or your mood. I kid you not, even the elderly who find walking challenging strap a crutch or two on their hipster vehicle and get on with it. People don't associate cycling strictly with Tour de France (a bit sick of the biking dress code and attitude in Prague), so thankfully the town doesn't look like it's been cloned. Also, no one really cares what kind of a bike you own (or have stolen), as long as it moves. My point is, that there's nothing pretentious about cycling in Pieštany and to my advantage, owning a bike doesn't automatically put you in the category of a serious athlete. I initially wanted to write how respectful car drivers are towards cyclists in Pieštany, but (even though it's true) it's probably more about their laid-back approach to life, which makes drivers lethargic towards anything that's capable of creating a conflict. I'd summarise it this way: Drivers here give priority to cyclists, because a. there's really nowhere to rush, b. there's a high probability that the driver actually knows the cyclist personally, which makes it more likely that they'll stop and chat, and c. each driver has their own bike anyway, which makes cruising in a car quite rare and therefore inferior. The town's pretty much flat and there are designated paths for bikes everywhere. Getting from one point to another or swarming with your mates in circles seems incredibly effortless. As teenagers we'd go around the (Sĺňava) lake probably 5 times a day, stopping frequently by dodgy bushes by the water. This time we decided to take the more sophisticated route, stopping by DINO and then the Siesta Pláž - both places are beautiful! The town is known for it's healing hot springs, and in 2013 the Lonely Planet ranked Pieštany among the Top 20 European spas. The spa specialises in treatments of chronic rheumatic and arthritic diseases. 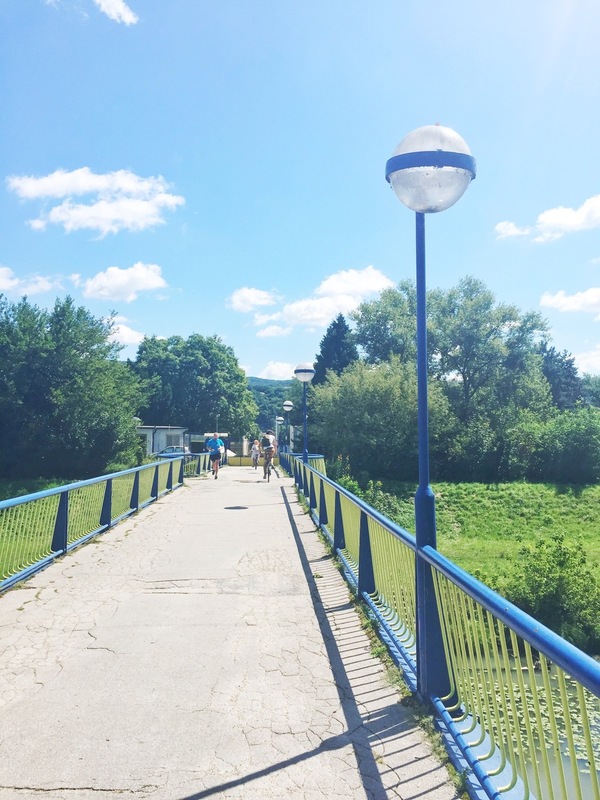 I've missed Pieštany for what it was back in my care-free days. The town hasn't changed much visually, but the spirit's gone. Young people have left, and with them the strength that was needed to preserve this place. Great places have closed down, beautiful buildings have been left to ruin, and hospitality which would usually put a smile on your face is now hard to find. Instead, ugly and futile buildings are popping up everywhere and dreams have disappeared in those who believed. My auntie, Yveta Šošokova, who was married to the world renowned jazz musician Dodo (Jozef) Šošoka, also joined us on this trip. 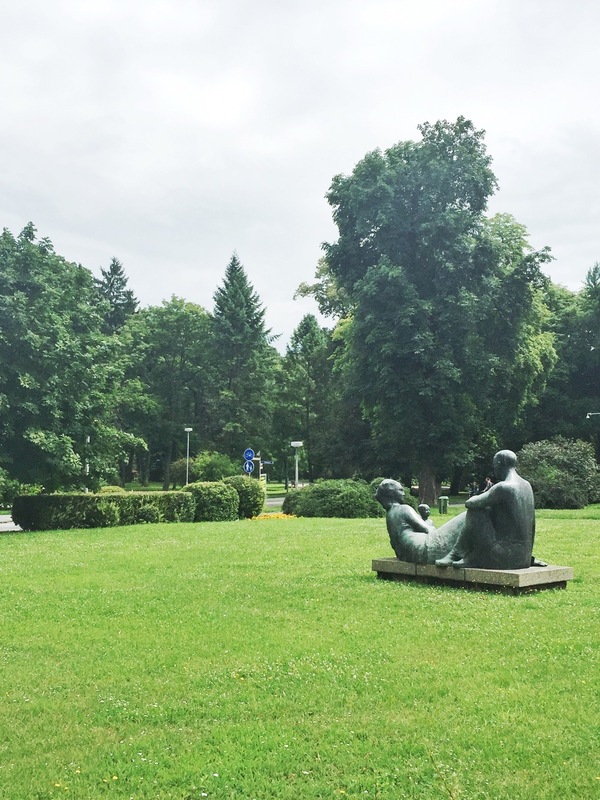 When they lived together in Pieštany, they owned a jazz bar / restaurant, called the Jazz Art Gallery. I doubt that there was someone better at bringing people together than the two of them. They energised and they most definitely knew how to LIVE, which inspired so many of us. The place was closed soon after cancer took Dodo's life away. Yveta would like to bring Dodo's spirit and the world which he built around his music to Prague, where she now lives. I rummaged through my auntie's boxes with some very old photos and found a few pieces from Pieštany.